SOLEMNITY OF THE IMMACULATE CONCEPTION OF THE B.V. MARY – Tuesday – also the beginning of the Year of Mercy. CONFIRMATION – Parents Meeting – Thursday 8pm OLSP. FR. ROBIN RIP – Funeral 12 noon, Thursday, Oxted. 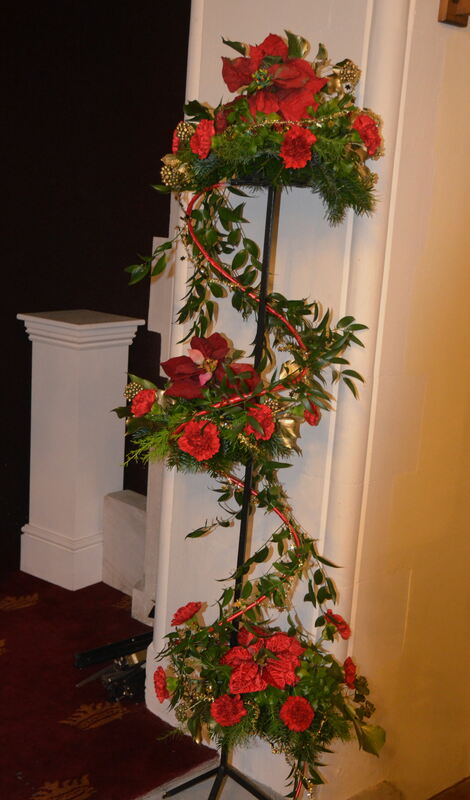 BAPTISM – Rose Adele Webb 2pm Saturday. CHRISTIAN MEDITATION GROUP – meets each Thursday from 4.30-5.30 pm in the Parish Centre. For more information and if you would like to join us, please contact Gabrielle Joyce 326118. ANGEL TREE – One of the Justice and Peace Group’s members, Valerie Maynard, recently received an MBE for her work in Lewes Prison Chaplaincy particularly for introducing, and being a beacon for, Sycamore, a very successful Restorative Justice scheme, which Prison Governors value highly as it reduces re-offending rates for those who take part. As usual Val is organising Angel Tree, a Prison Fellowship programme providing those in prison with an opportunity to send a Christmas gift to their children and maintain a connection with their families. If you would like to help please contact Valerie on 01342 326896 asap. Thank you. FIRST HOLY COMMUNION PROGRAMME APPLICATION FORMS – Our parish programme for First Forgiveness and First Holy Communion will be starting in early November. We invite all children in Year 4 primary school and older to apply. Forms will be available at the back of St. Bernard and Our Lady and St Peter churches. Please fill in and return to Fr Steven Purnell or Deacon Ted Rider. MISSIO RED BOXES – Will OL&StP box holders please bring-in their red boxes during the next few weeks for counting before year end. Deliver your box into the sacristy, please don’t leave it elsewhere in church. If your box is normally counted at home, this will happen as usual. Thank you. PARISH MAGAZINE – It is still our hope to have the Magazine out before Christmas, but the deadline has now been moved to the end of November, so there is still time for everyone – and in particular those speaking for groups and clubs and societies – to send in your submissions. These can, as usual, be emailed to me at klara.m.king@comcrafts.co.uk – or left at the back of the church, addressed to Klara King. I acknowledge all emails received, so if you don’t hear within a few days of sending one, I’m afraid I haven’t received it. CHARITY MEAL – in aid of St Catherine’s Hospice on Monday 30 November, 6.30pm for 7pm at Tarana, Lingfield. £16 per head. Bookings to EG 832222. Thank you to all those who supported the recent events to raise £715.90 each for Crawley Open House, Crawley Prison Fellowship, EG Street Pastors and Age UK. Thanks also to Barclays Bank for match funding of £1000 and to those who donated raffle prizes. 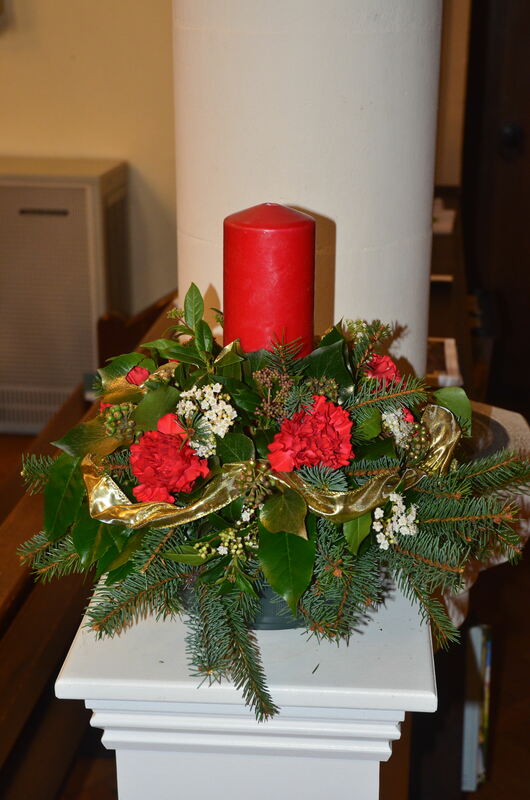 THE NEXT TRAIDCRAFT SALE – will be the weekend of 5th/6th December after both masses. Any other special orders to Mike and Tina Causton on t.causton@sky.com or 311435. or Chris and Margaret Vase on 834436 or cjvasey@aol.com. 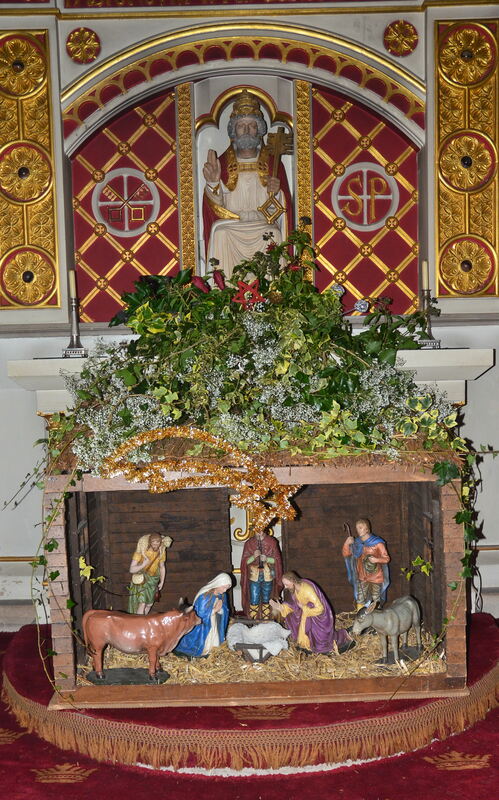 PARISH CHRISTMAS LUNCH – (SUNDAY 6TH DECEMBER) – in St. Bernard’s hall – gathering from 12.30 pm for lunch at 1.00 pm. The meal will be a traditional Christmas Lunch. 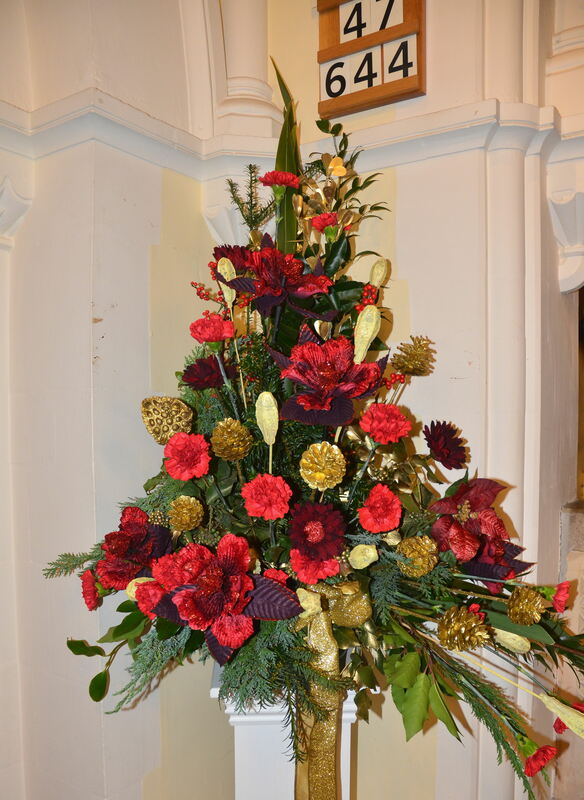 The arrangements will be as at the previous parish lunches: soft drinks will be provided but please bring your own alcoholic drinks; pre-booking is not required – just come along if you wish; there is no charge but there will be a voluntary donations basket. Everyone is welcome – from all corners of the parish. 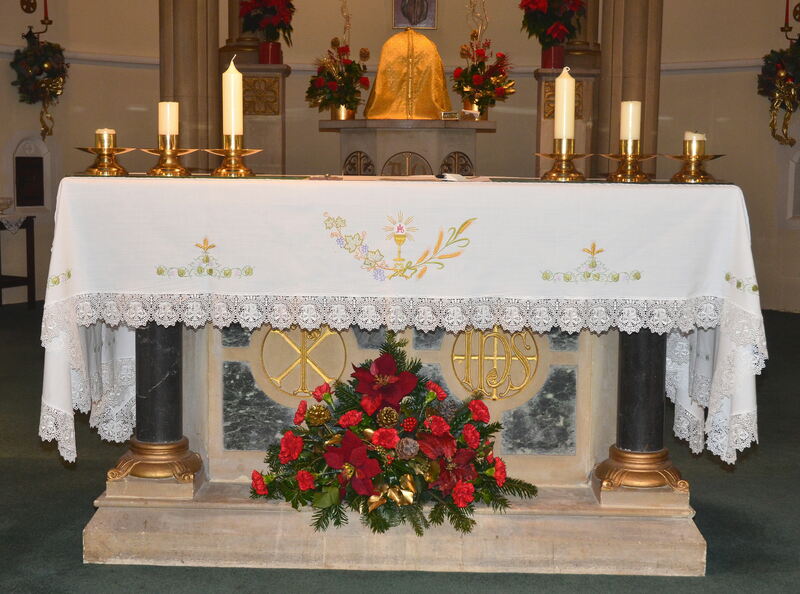 OUR LADY & ST PETERS LUNCH CLUB – will meet for our Christmas Lunch on Wednesday 9th December. Please arrive promptly at 11.45 for Lunch to be served at 12 o’clock. Please ring Ivy (323240) Jean (311295) or your Driver if you are not able to come. CHRISTMAS GREETINGS NEWSLETTER – We shall be producing the Christmas Greetings newsletter again this year, to be published 19th/20th December. If you would like to make use of this please let Simon Parr (E.G. 323493 / simon.sparr@sky.com or Muriel Cheesman (E.G. 327512/ murielcheesman@hotmail.com) have your copy by Monday, 14th December. Our charity will be Crawley Open House. EG FOODBANK – the following items are required lease 500g bags of granulated sugar, Feminine hygiene products, Toilet rolls, Washing-up liquid and Men’s deodorant. Thank you. 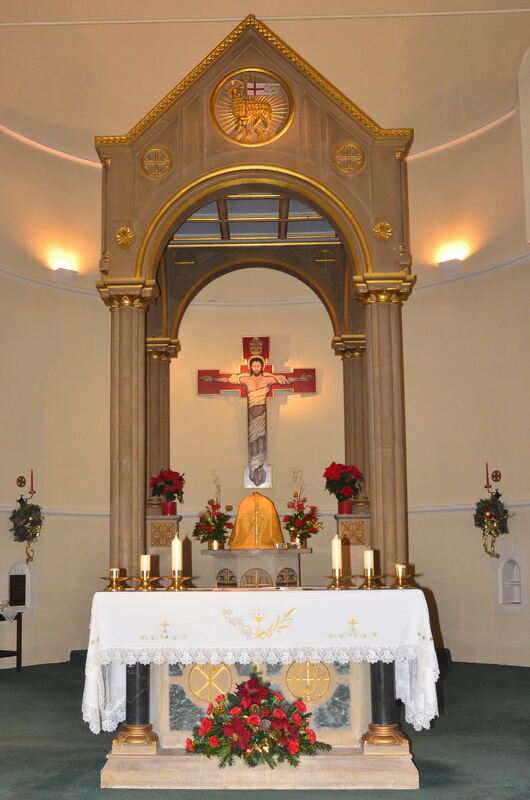 This entry was posted in Newsletter on December 4, 2015 by eastgrinsteadcatholicparish.